Sponsored by the National Catholic Educational Association (NCEA), National Catholic Schools Week is an annual celebration of Catholic education in the United States. The annual observance takes place at the end of January each year, and the theme is “Catholic Schools: Learn. Serve. Lead. 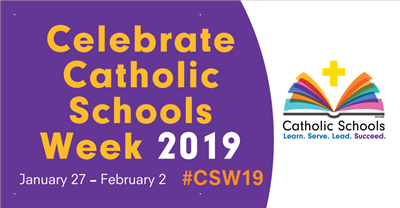 Succeed.” Schools typically celebrate Catholic Schools Week with Masses, open houses, and other activities for students, families, parishioners, and the community at large. 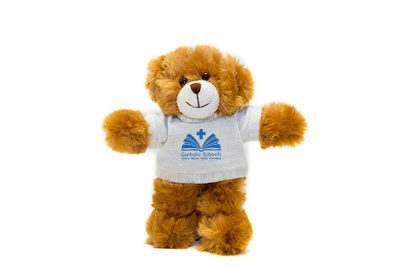 Schools may purchase a wide variety of products to promote Catholic Schools Week from this website and our official vendor - Source One Digital Promotional Products and Apparel. The Order Cutoff Date for Guaranteed delivery of Custom Product With Your School Logo is January 7, 2019. (Custom Banners & Apparel Can Be Ordered Until January 18th, 2019). Last Day to Order Stocked Products for Guaranteed Delivery Without Expedited Shipping is January 14, 2019. (Order placed after January 14 will be shipped as quickly as possible, but we can not guarantee to deliver by January 25 unless expedited shipping is selected at time of order).